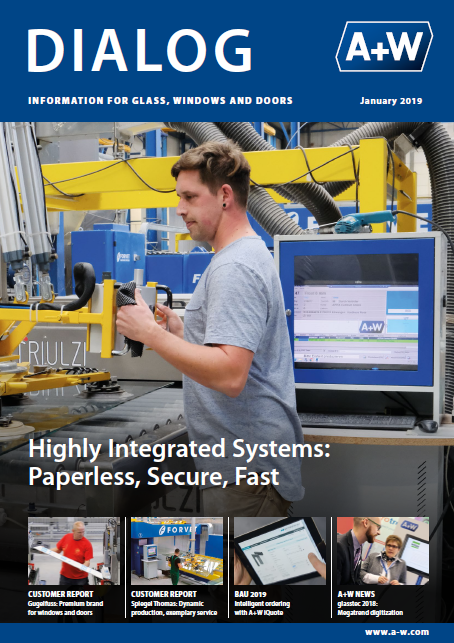 In our traditional A+W magazine, we regularly publish interesting customer reports, professional articles and information material on A+W software solutions for the flat-glass and window industry. Browse through all previous editions in the DIALOG and find out why our customers have been placing their trust in us for more than 40 years. You can download the DIALOGs individually or in packages after successfully registering by filling out the form on the right.